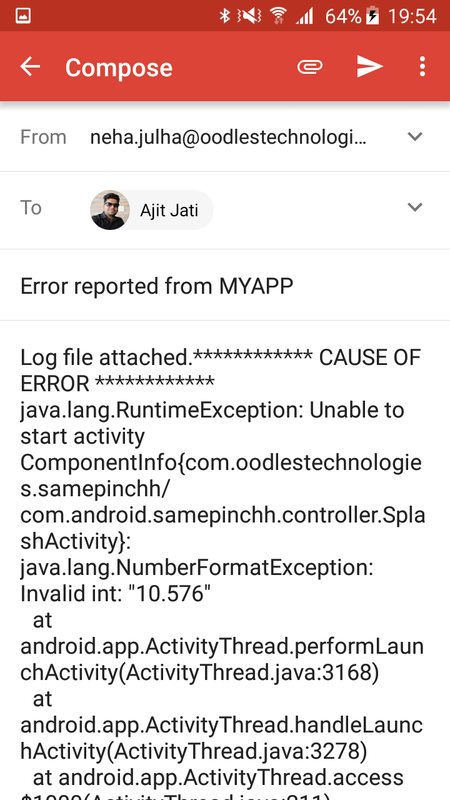 Yeah, we have the ability to handle uncaught java exceptions in android that causes the app to force close. 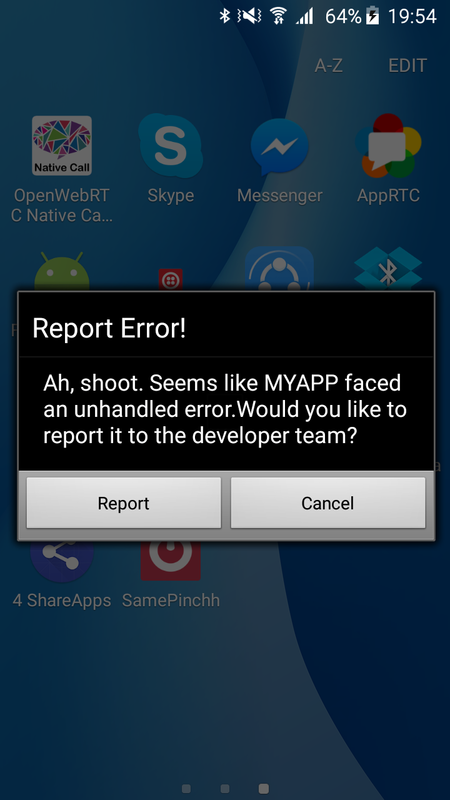 This method is tested and seems to be very handy in terms of having control of the actions that needs to be done after an uncaught exception caused in the app. intent.setAction("**.controller.logger.SendLogActivity"); // see step 5. * Created by Ajit on 18/4/16. intent.putExtra(Intent.EXTRA_TEXT, "Log file attached. "+logs); // do this so some email clients don't complain about empty body. Now we are good to go. We can generate any exceptions to test the process. Please add the below line anywhere in the activity where you have added the uncaughtException hook.